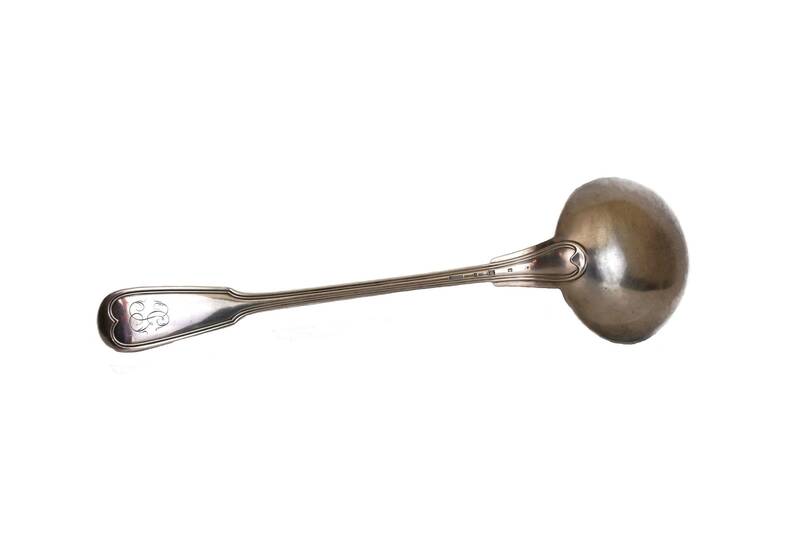 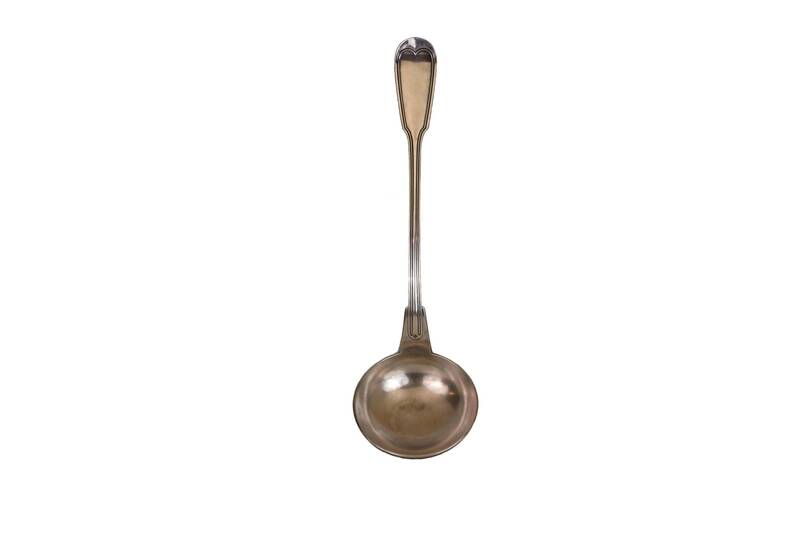 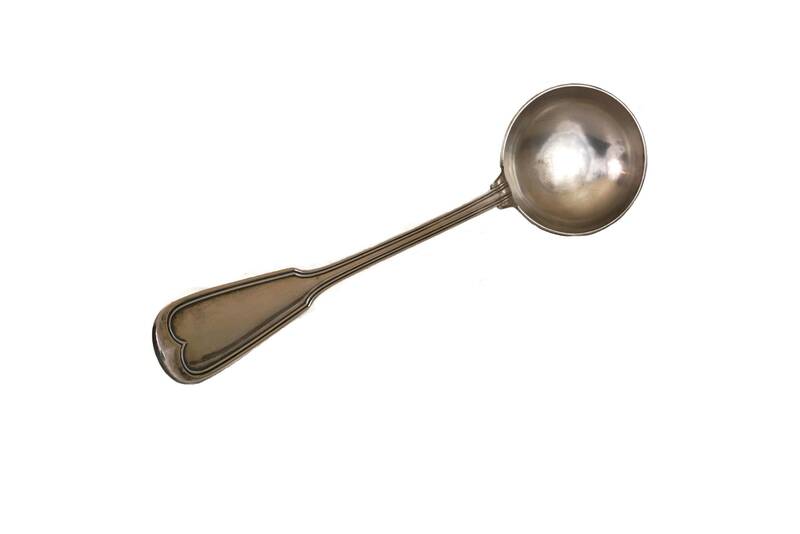 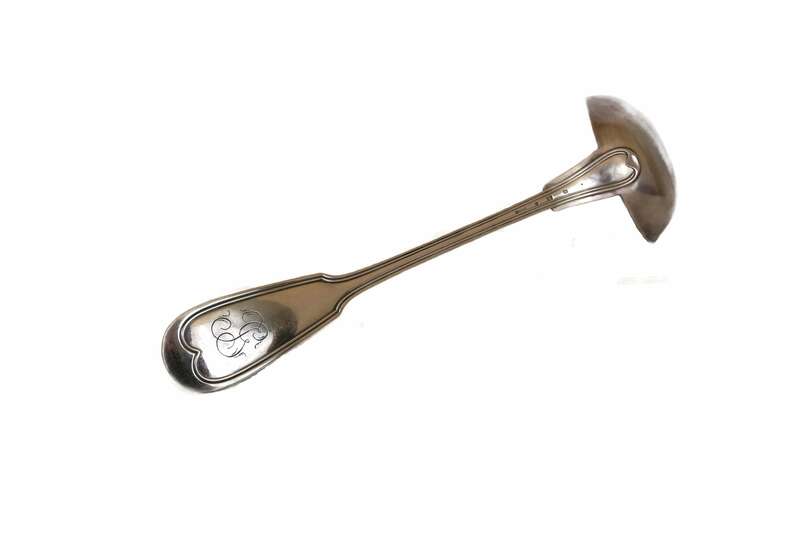 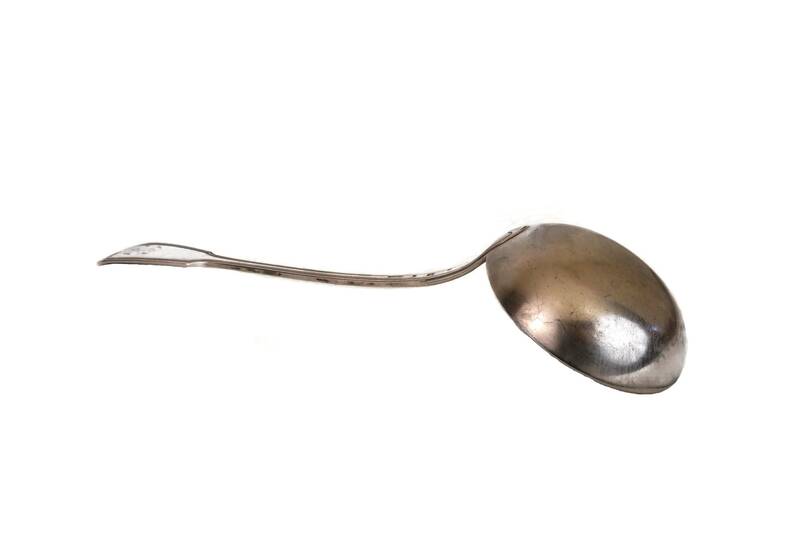 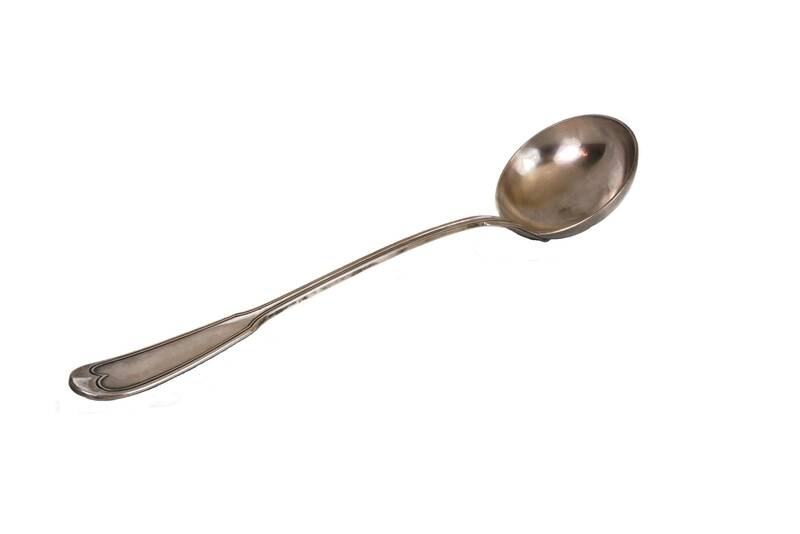 An elegant antique Christofle silver plated soup ladle dating from the early 1900s. 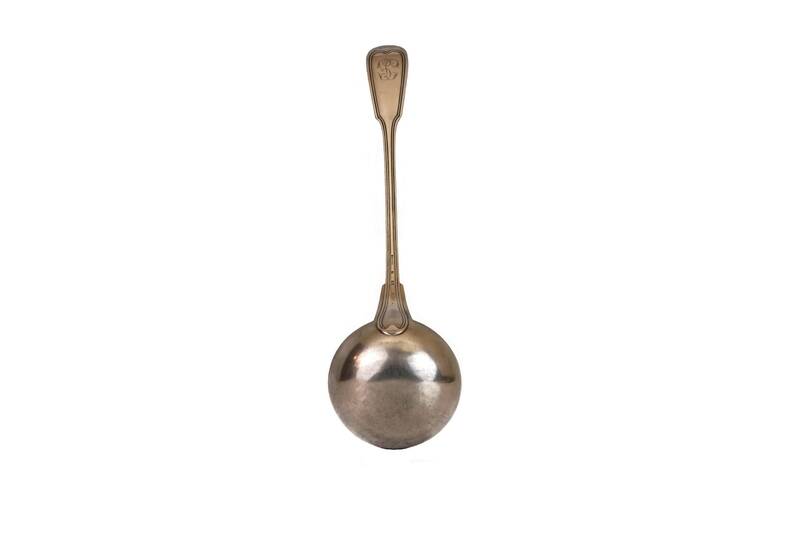 The large serving utensil has been made from Alfenide, an alloy of nickel and silver electroplated with silver which was reserved to produce 1st class silverware. 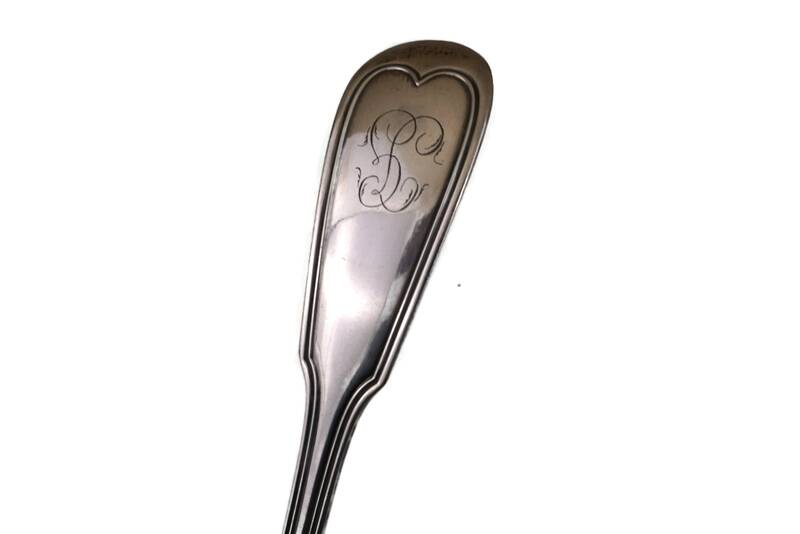 The ladle has a deep bowl and an handle which has been engraved on the underside with beautiful monogram initials "JG". 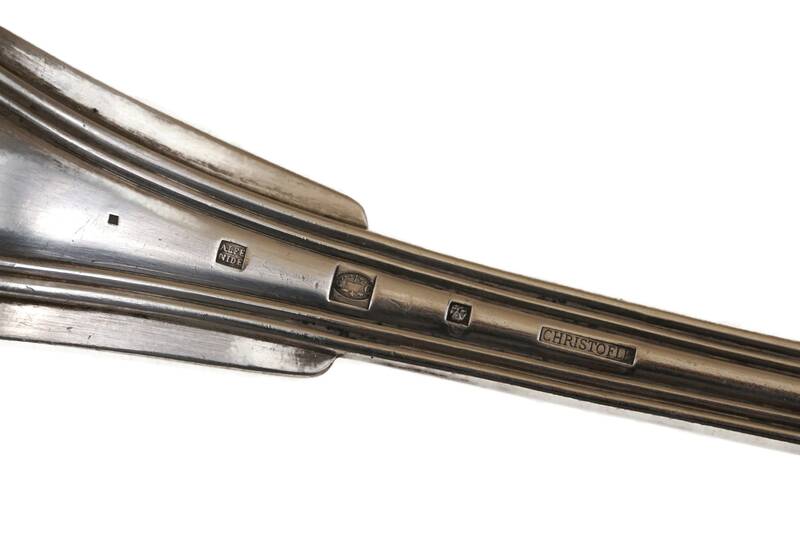 The handle has also been decorated with a classic Christofle pattern and stamped with the silver plated maker's mark. 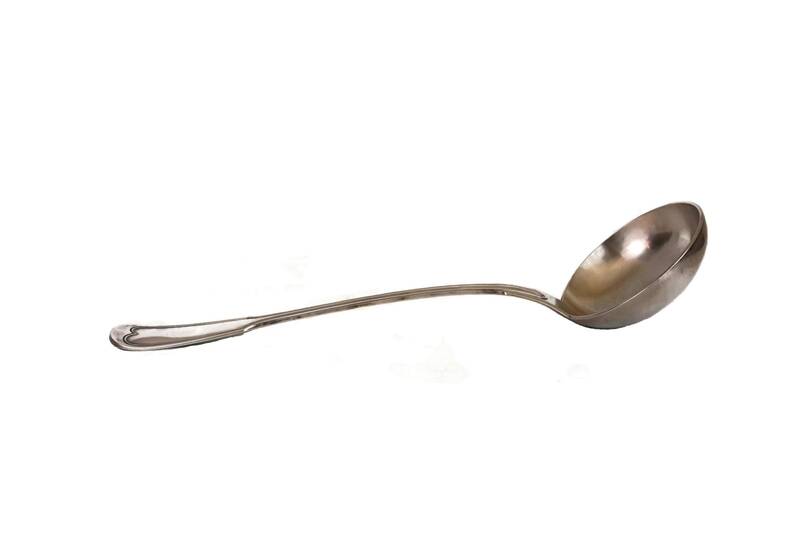 14" Long and the bowl is 3.75" in diameter (35 cm x 9,5 cm).